Disclaimer: Some of the links you will find below are affiliate links, meaning that at no additional cost to you, I will earn a commission if you click through and make a purchase. I was provided with free products in return for my honest review. All thoughts and opinions expressed herein are my own and not influenced by the company providing the product in any way. 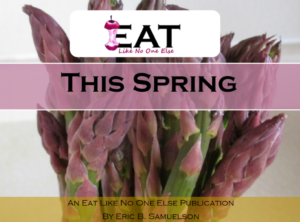 Are you ready for spring recipes? I know I am excited. Actually I am not just excited, I am Ramped Up!!!! 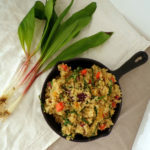 Today we got a new post, featuring the hottest thing in spring foods – the ramp also known as the wild ramp or wild leek. This dish is made with fresh wild ramps like you see on the left. In case you don’t have the lowdown on ramps yet, they grow in the wild. People forage for them. How fun! They are somewhat like a leek, onion, and/or garlic. They have little white bulbs that grow underground and they have green leaves up top. Both of parts can be used for your culinary delight. 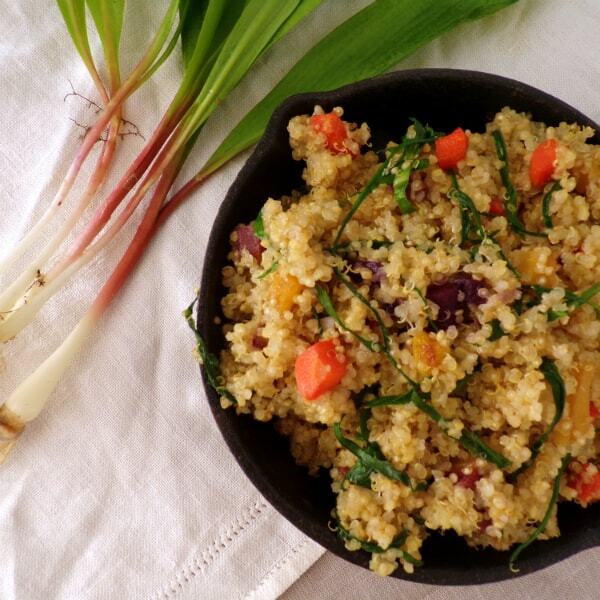 Like in the following recipe for Quinoa with Wild Ramps and Diced Carrots. Get ready for flavor. This seriously is the best quinoa dish i ever put together. 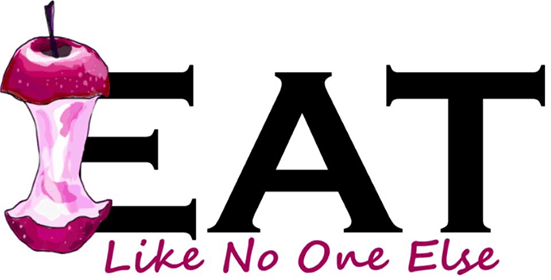 It is actually the first one I have published on this blog – Quinoa fans are saying it’s about time. 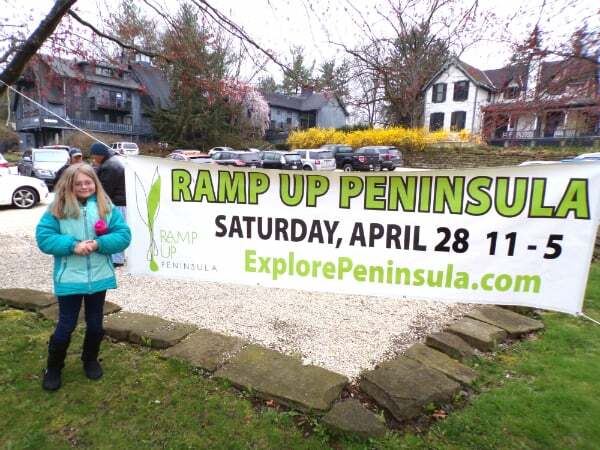 A picture of my daughter next to the sign for the Ramp Up Peninsula Festival in Peninsula, Ohio. Let’s talk about how I was inspired to put this dish together. Last weekend my daughter and I went to a ramp festival in Peninsula, Ohio. It was a fun time meeting vendors, buying and talking about ramps, eating bacon potato ramp pierogis & ramp biscuits, all while walking around a charming small town in the midst of Chuayhoga Valley National Park. My hands were cold but my belly was full. The quinoa from I Heart Keenwah is totally the best quinoa I ever had. It cooks up super fluffy and it has been toasted, so it adds that enduring toasty/nutty flavor. A couple weeks ago, I was at a grocery store looking at various products on the store shelves – I encourage you to take the time to scan the store shelves, you may find something you never noticed before. That is how I was introduced to I Heart Keenwah. I reached out to their team to learn more about their company and they were super kind enough to send me some products to try out. Any quinoa will work for this recipe, but if you can buy I Heart Keenwah, your dish will be better. Their quinoa is toasted right inside the husk. Then it is rubbed free from the bitter coating on the inside. The flavor is amazing. It’s got that nutty, toasty thing going on. 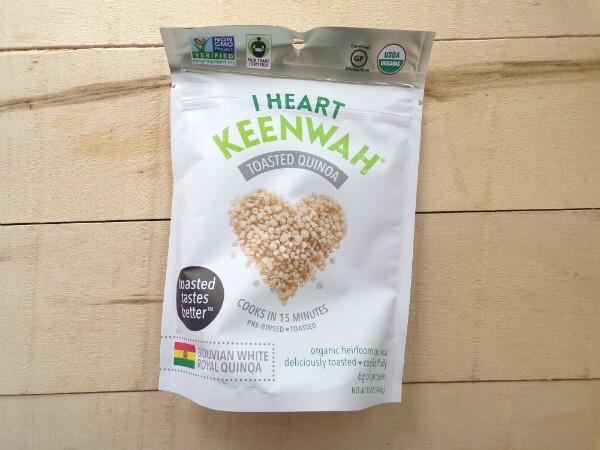 I Heart Keenwah sources fair-traded Bolivian Royal Quinoa. This particular variety cooks up fluffier than any other quinoa I have tried. I can’t say enough good things about it. These two inspirations collided to come up with this dish. 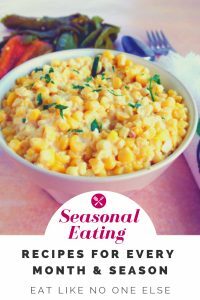 It can be a great side dish for a meal or a great way to have a #meatlessmonday. Or you could cook up some chicken to mix in. I am all about using grains to stretch my meat out further. I added some diced carrots to the dish to add flavor and color. Dicing the carrots up really small helps them to cook fast and you can caramelize the carrots adding a wonderful sweetness to the dish. My wife was tempted to eat the diced carrots by themselves! Reduce the heat to low. 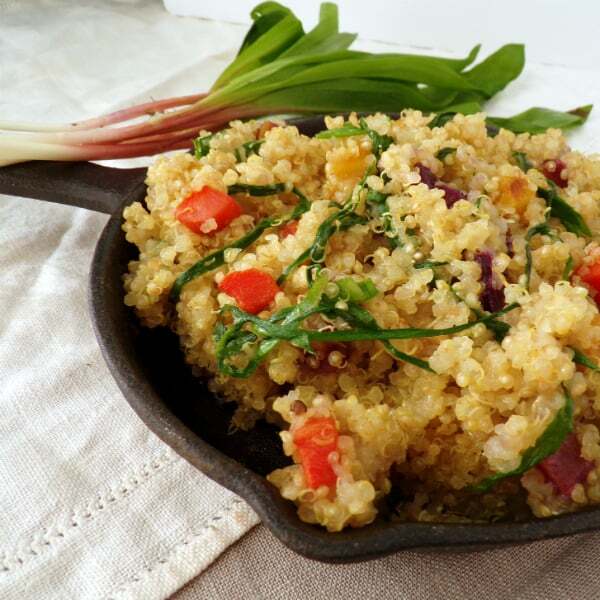 Cover and cook for 12-15 minutes or until water is absorbed and quinoa is not crunchy. 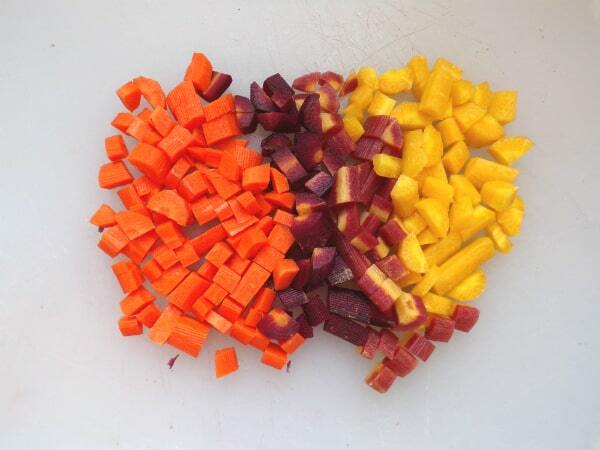 Peel and dice the carrots. Carrots should be about a 1/4 inch. Cut the white bulbs off. Dice them. Remove the woody steams from the leaves. Save those for the stock pot. Coat the bottom of a frying pan with cooking oil. Heat up to medium-heat high. Add the carrots. Cook the carrots until softened and starting to brown. Add the ramp bulbs. Cook for about a minute or two until softened. Turn off the heat and add the ramp leaves. Stir until the leaves have wilted. Add the veggies to the fluffed quinoa. Stir and serve. Previous Post: « Is All Himalayan Pink Salt the Same?